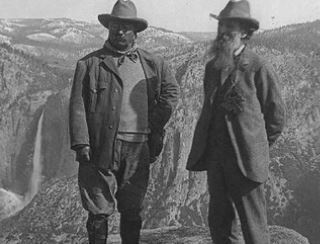 Tomorrow, August 25, the National Park Service turns 100! 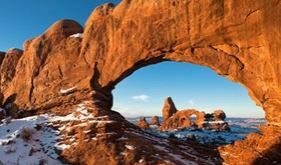 The park service is celebrating by offering free admission to all 412 national parks from August 25 through August 28. 100 years of protecting America’s natural, historical and cultural treasures from all over the United States. These more than 400 beautiful, historic and exquisite sites cover over 80 million acres consisting of approximately 18,000 miles of trails, more than 75,000 archaeological sites and at least 247 species of threatened or endangered plants and animals, and managing monuments, parkways, battlefields, cemeteries, and recreation areas. 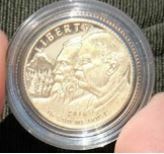 The Park Service is celebrating with commemorative coins: a $5 gold coin featuring the heads of Theodore Roosevelt and John Muir who both worked to bring out the park system, a silver $1 featuring Yellowstone’s Old Faithful geyser, and the half dollar depicting experiences one has in the parks: a child finding a frog hiding in a fern and a hiker taking in a panoramic view of a mountain, and lake, and forest. The U.S. Postal Service is helping in the centennial celebration by issuing 16 new Forever stamps featuring national including: Yellowstone, Theodore Roosevelt, San Francisco Maritime, Mount Rainier, March-Billings-Rockefeller, Kenilworth Park and Aquatic Gardens, Haleakala, Gulf Islands National Seashore, Grand Canyon, Glacier Bay, Everglades, Carlsbad Caverns, Bandelier National Monument, Assateague Island National Seashore, Arches, and Acadia. IMAX presents the new National Parks Adventure featuring the parks in never-seen-before breathtaking ways. A park exchange series designed to bring parks to life in urban areas and demonstrate the diversity of park experiences is being offered: Redwood National and State Parks visit Austin, Texas, New Orleans Jazz National Historical Park visits Chicago, and Thomas Edison National Historical Park visits New York City. Or explore the Centennial Media Quality Photo Gallery representing the unique character of the parks. Search for parks, programs, or topics.